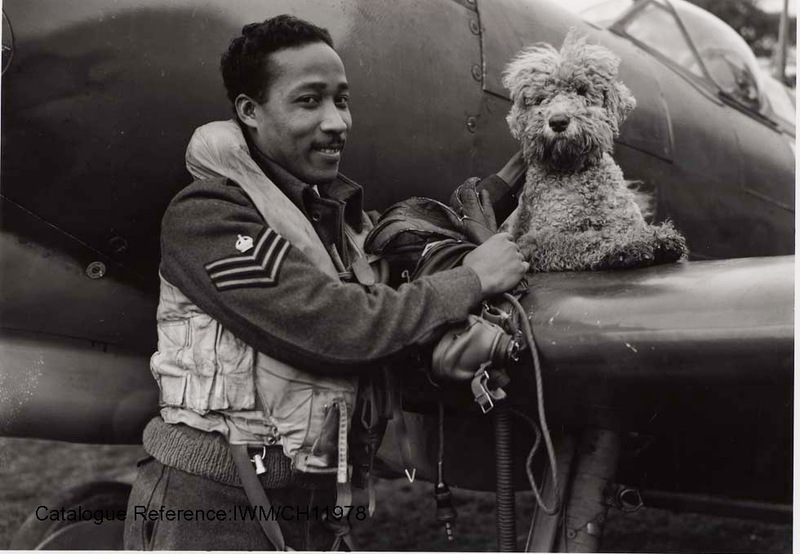 Nearly 10,000 West Indian men and over 600 West Indian women served in the British armed forces during World War Two. The Caribbean was an active war zone and many West Indians joined local defence units to protect their islands from attack. They also came to Britain to work as technicians in British munitions factories, and served in the Merchant Navy. However, the UK has no memorial to commemorate the thousands from Africa and the Caribbean who fought during the two World Wars. 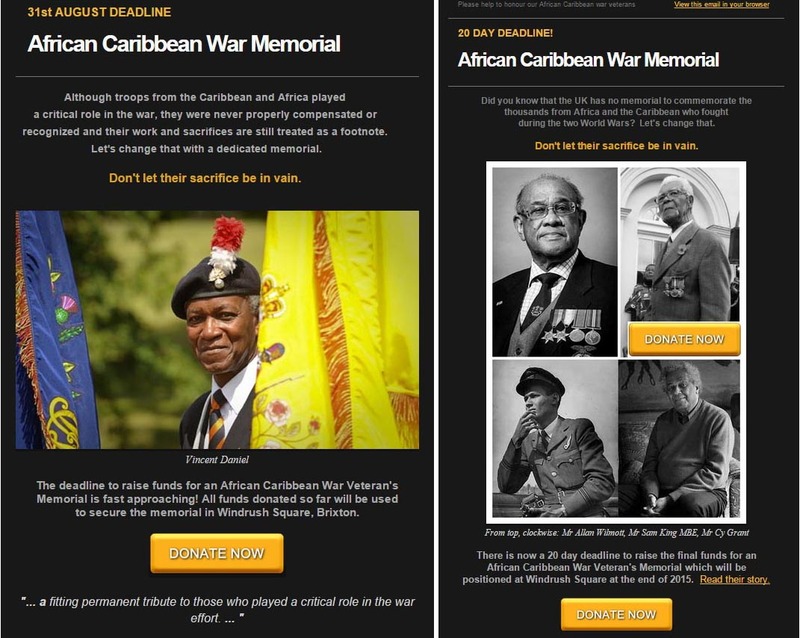 The African & Caribbean War Veteran’s Memorial was created to remember and commemorate the people from the countries in Africa and the Caribbean who served in the armed services alongside the British and Allied Forces during the First and Second World Wars. 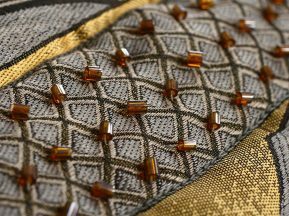 The memorial which will be positioned at Windrush Square, Brixton, London. 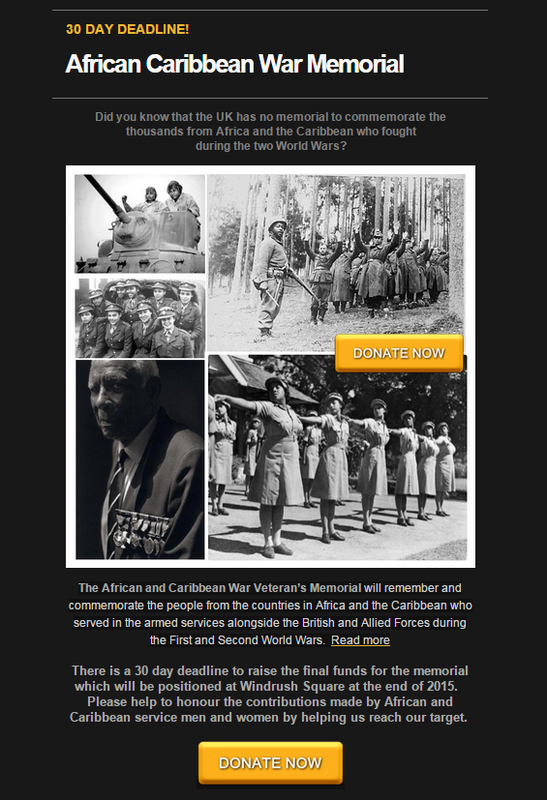 To raise the profile of the African and Caribbean War Memorial and its aims, increase donations to the memorial fundraising campaign online within a 30 day deadline and increase the number of sign ups to the organisation’s mailing list. Social media management for twitter and facebook to the end of August deadline, raising a further 20% of funds for the memorial. This included engagement with supporters, special interest groups, stakeholders and influencers. Set up, designed and dispatched a series of e-mail marketing messages designed to inform and share to networks. 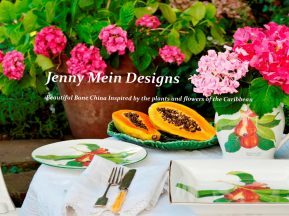 Created a bespoke press list and press release written and dispatched. At the height of social media campaign for a 4-week period Facebook showed that page engagement was up by 433.3% and the weekly total reach of the page went up by 711.1%. Mailing list growth from a single list that included family and friends to sector lists gained through specialist research and contact mining.